TMI-Orion enables easy use of recorded data with offerings of innovating solutions adapted to any environment. TMI-Orion also has solutions to connect your loggers to company networks or Internet. The data acquired by the loggers can be downloaded to a PC either in real time and/or at the end of the process. Real time read out is possible with the radio option available with many of our data loggers. 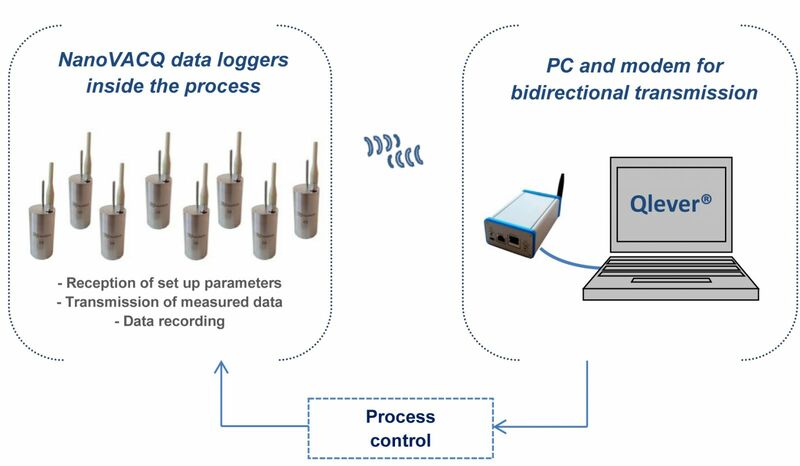 After the process, reading the loggers memory is possible with a wired interface connected to any of our data loggers. The communication interface with the PC is a device that links the data logger to the PC. The transmission is done both ways in order to set up the data loggers and read out the data. The single and multi interfaces are equipped with an USB connector. A single interface communicates with only one data logger, while the multi interface communicates with 6 or 12 data loggers simultaneously. They are easily connectable and can form a daisy chain up to 96 data loggers with simultaneous communication. 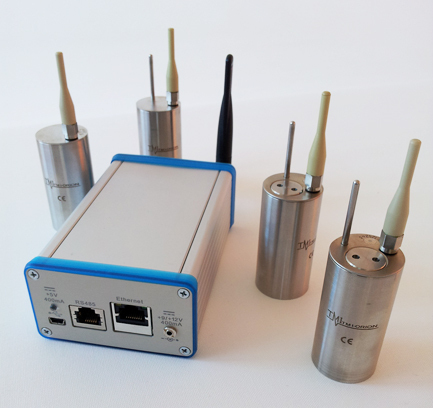 The new generation of TMI-Orion FullRadio data loggers (NanoVACQ and VACQ families) use bidirectionnal radio transmission in the ISM 2.4GHz band. With a usual range of 25 meters, these dataloggers are used in short range applications such as sterilization, freeze-drying, pasteurization, but also in long range applications like in industrial kilns. Radio technology is based on norm IEEE 802.15.4, which allows the management of many loggers in the same space. The secured communication protocol developed by TMI-Orion offers high reliability in radio communications in harsh and extreme environments. In order to answer a large number of applications, TMI-Orion offers a variety of antennas. A special connector ensures watertightness over a large range of pressure and vacuum. FullRadio dataloggers communicate by radio with a PC linked to a TMI-Orion modem through a USB, RS485 or Ethernet connection, allowing different network types. Dataloggers management is done through TMI-Orion Qlever software platform installed on the PC. Qlever manages real time or post-process collection of data from the dataloggers placed inside the industrial process, it ensures data processing, visualization and creates reports. • Maximum radiating power +5 dBm (3,2 mW). • Radio transmission range depends on the environment. • Able to manage several pieces of equipment connected in star configuration in the same space.